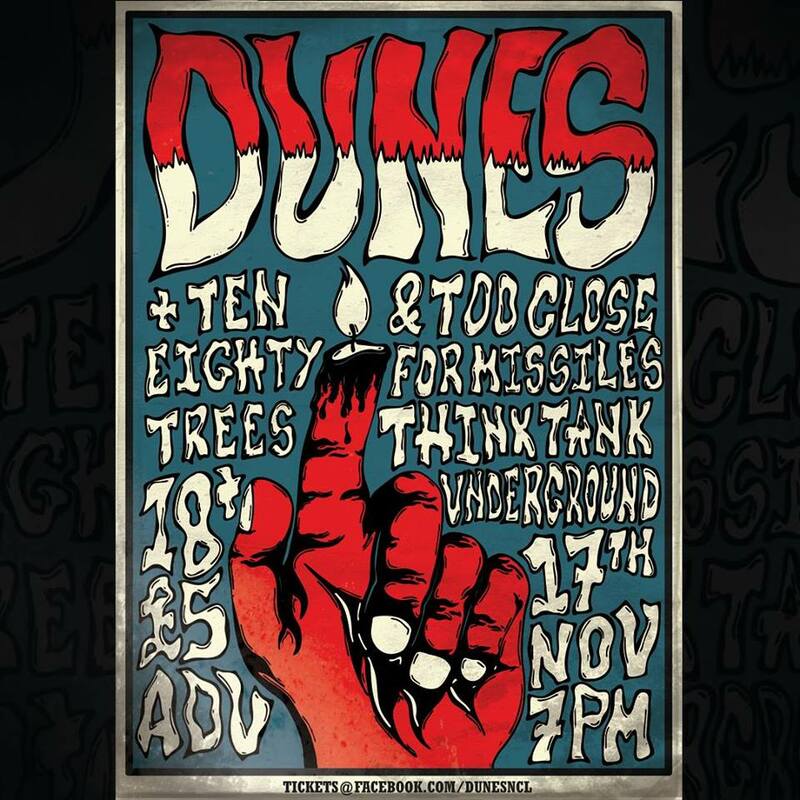 Fittingly described as playing “desert-riff-blues-tinted-disco-tinged-rock”, Dunes are set to play this highly anticipated headline show at the Think Tank Underground. Drawing influences from the likes of Queens of the Stone Age and Death from Above 1979, the Newcastle band have been racking up an ever growing number of live shows across the region since emerging in 2016. And releasing not one but two riff-heavy banger backed EPs in short succession is a testament of this band's drive and determination which is also manifested when the trio take to the stage as is sure to be proven again on the night. Adding to the intense level of epic rock are fantastic pop-punk outfit Too Close For Missiles as well as the the magnificent Ten Eighty Trees who only recently blew our brains out, not only during their own headline show, but also when supporting the mighty We Are Scientists at the Riverside with their infectious glam-rock anthems and self-assured stage presence. A fantastic chance to catch some of the region’s best new bands that aren’t shy to ramp up the volume. 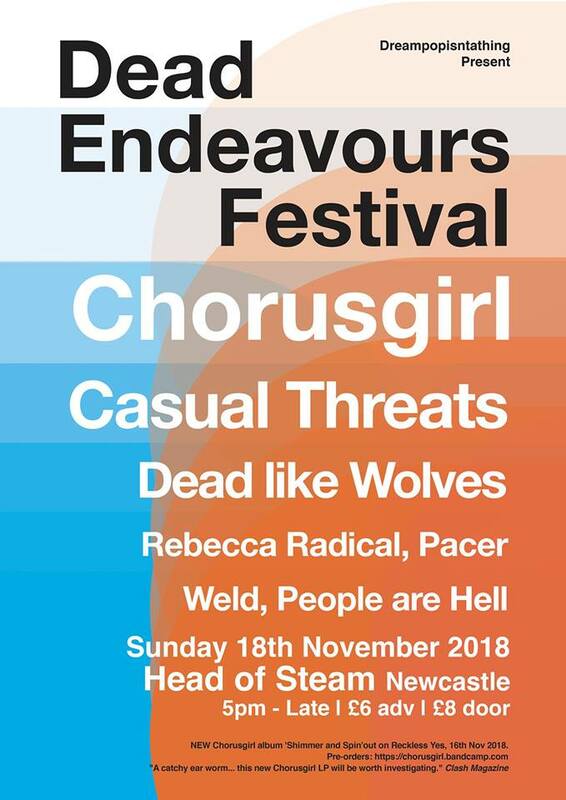 A brand-new mini festival due to take place at Head Of Steam brings epic noise-pop outfit Chorusgirl from London to the North East as part of their current headline tour. With their catchy earworm packed debut album 'Shimmer and Spin' out this month, the trio have a lot to celebrate after having worked on this momentous release for 2 years. 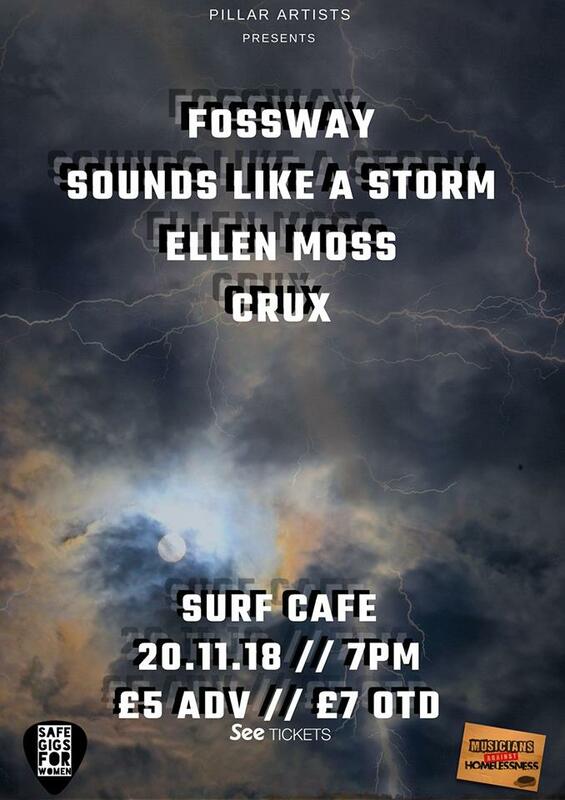 Adding to the impressive line-up are one of our favourite mischievous punk-rock trios Casual Threats who always lay down an incredibly wild show. And adding even more epic heavy tones are Dead Like Wolves, Rebecca Radical , Pacer, Weld and People Are Hell. A great coming together of bands who represent the resourceful spirit of alt rock and pop to ensure a fantastic Saturday night out. The mesmerisingly beautiful cello tones accompanied by singer-songwriter Ceitidh Mac's haunting vocals always guarantee an atmosphere that receives an audience's awe and full attention. Often seen accompanying the equally talented Martha Hill, Ceitidh’s own talents are second to none with a lyrical style that feels nostalgic of past days while creating a sound that is very well suited for modern audiences. 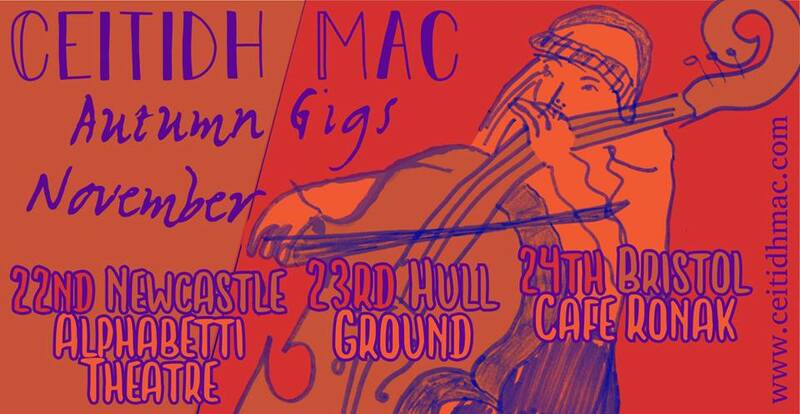 This time around, Ceitidh Mac is accompanied by the beguiling sounds and sights of the quirky vibraphone and electronics of Will Hammond and Jamie Cook, forming a trio that will be sure to provide an unforgettable musical experience. Support comes from surreal electronica project Late Girl and singer-songwriter Lauren Stone. North East duo Human X have firmly established themselves as a creative act that bring together nostalgic dark-romance influences with incredibly complex guitar riffs and melodies. The powerful and emotive vocals add to that unique sound as proven with the applauding reception received for their two singles 'Death and Romance' and more recently 'Love Or Nothing'. 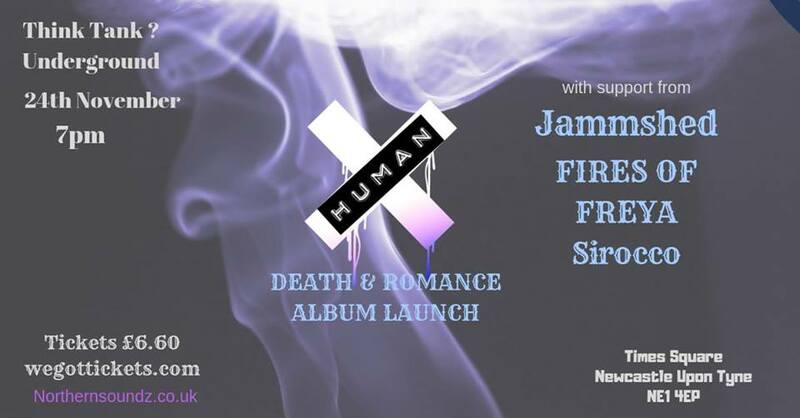 All of which has been leading up to the now impending release of their debut album with the same name as their debut single 'Death Or Romance' which is being launched with this stellar show at the Head of Steam. Adding to the party atmosphere on night are diverse blues-folk outfit Jammshed, striking punk-rockers Fires Of Freya and groovy newcomers Sirocco. So come and show some love for this unstoppable duo. Local writer Richard Stephenson is celebrating the release of the 2nd part of his sci-fi trilogy 'Albie' by drawing on another of his passions: the North East music scene. This special book launch promises performances from rousing rockers Echolines, dreamy electro soundscape creators Shamu and the beautiful tones of twin-duo Talk Like Tigers - all of which are set to provide a fitting atmosphere for this epic tale. Set in the divided city of Tenebria with its glitzy, seemingly perfect, facade looming over a dark and suppressed underworld, the story focuses around the young main-character Albie who finds himself in a fight against the power-hungry government with the help of his new found friends. After a sell-out launch gig for Albie I in the summer we are expecting more of the same fun including short readings by author Richard himself, chances to dress up as the characters as well as a chance to grab signed copies of the book. But Sci-fi fan or not, this a fantastic event that is sure to bring together both music lovers and book worms alike while offering a chance to get up close with their creator.